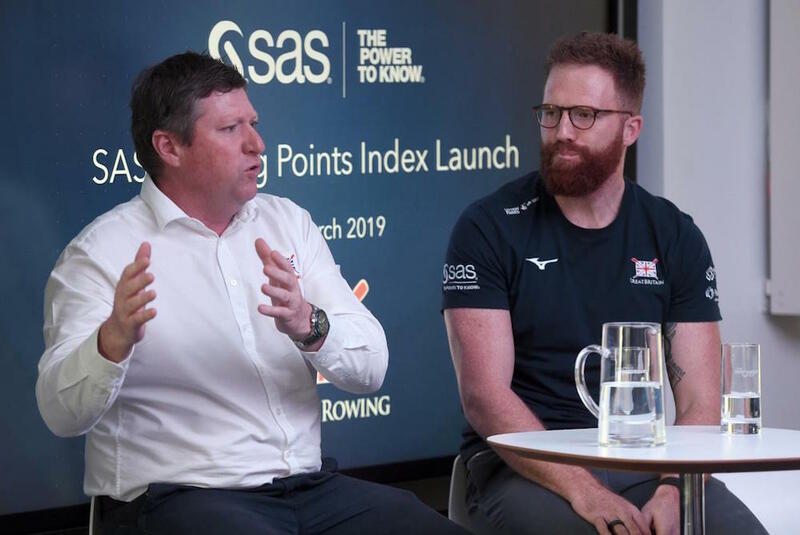 British Rowing has unveiled a new Ranking Points Index in partnership with SAS, the national governing body’s Official Analytics Partner. The SAS Ranking Points Index has been created to help create closer, fairer and more exciting racing for all rowers in England. By accommodating all styles of racing, from regatta to head races – akin to time trials – the project also seeks to encourage new members to start and continue racing from earlier on in the season. British Rowing Director of Performance Brendan Purcell has claimed the new Index could help identify future Olympians. He said: “The exciting thing, when you start building data and getting insights from it, is what it can bring to the future to help you. “The SAS Ranking Points Index isn’t going to have an immediate impact on qualification for the 2020 Olympic Games, however, the idea of using this to create a ‘performance funnel’ is very exciting. The activation was launched at an event at the SAS office London, where senior British Rowing stakeholders and volunteers were invited to learn more about the role of SAS’s software and services in developing the tool. Purcell, the former British Triathlon Performance Director was joined in a panel discussion by Olympic gold-medal winning rower Will Satch, as well as Phil Clements, Chair of the National Competition Committee; Annie Hairsine, British Rowing Senior Project Manager-Technology Projects, and Scott Comber, Professional Services Director, SAS UK & Ireland. The event coincided with the publication of a technical paper to outline the outcomes so far.